University of Georgia Press, 9780820329932, 498pp. 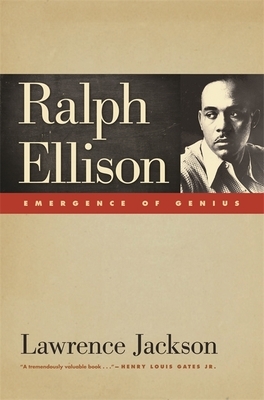 Author, intellectual, and social critic, Ralph Ellison (1914-94) was a pivotal figure in American literature and history and arguably the father of African American modernism. Universally acclaimed for his first novel, Invisible Man, a masterpiece of modern fiction, Ellison was recognized with a stunning succession of honors, including the 1953 National Book Award. Despite his literary accomplishments and political activism, however, Ellison has received surprisingly sparse treatment from biographers. Lawrence Jackson's biography of Ellison, the first when it was published in 2002, focuses on the author's early life. Powerfully enhanced by rare photographs, this work draws from archives, literary correspondence, and interviews with Ellison's relatives, friends, and associates. Tracing the writer's path from poverty in dust bowl Oklahoma to his rise among the literary elite, Jackson explores Ellison's important relationships with other stars, particularly Langston Hughes and Richard Wright, and examines his previously undocumented involvement in the Socialist Left of the 1930s and 1940s, the black radical rights movement of the same period, and the League of American Writers. The result is a fascinating portrait of a fraternal cadre of important black writers and critics--and the singularly complex and intriguing man at its center. Lawrence P. Jackson is an associate professor of African American studies and English at Emory University. He was awarded a Ford Foundation Fellowship and was Resident Fellow at Harvard's W. E. B. Du Bois Institute while completing this book.